My new shop is on the upper level in the Gardens Shopping centre close to the Woolworths entrance. 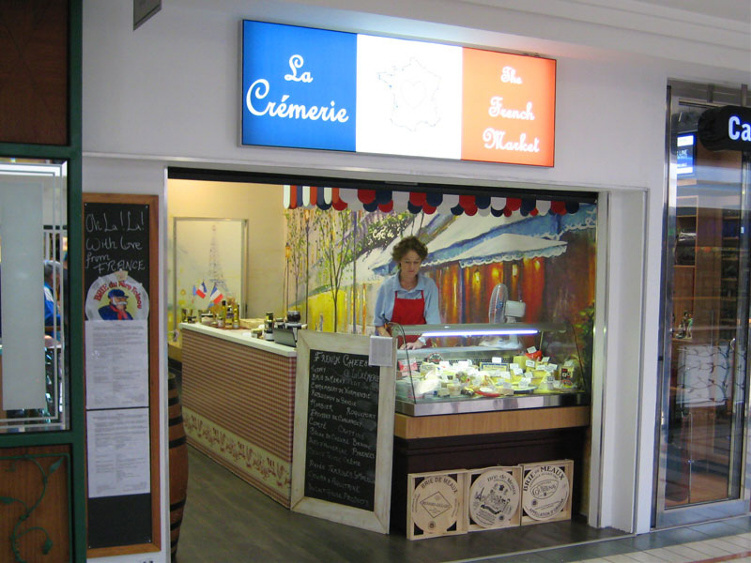 It is a small shop that has a delicious aroma of genuine French cheese. The Gardens Shopping centre is easy to find, located on the edge of the city bowl in the shadow of our beautiful Table Mountain. It is the only shopping centre in the area and offers everything a person needs for daily living from my French cheeses to fresh food produce at Woolworths, Also found in the Gardens Centre is the French patisseries Cassis, Raiths German butchery, Le Creuset French cookware, Clicks pharmacy and shops that offer Pets supplies, clothes, banks, hardware, stationery, DVD and music, décor, beauty treatments, hairdressing and several restaurants. It is a small, secure and elegant centre, everything is within a couple of minutes’ walk and there is always plenty of parking. Feel free to stop in and ask for a taste of this week’s speciality cheeses. Click on the map below to get directions to La Cremerie (Gardens Centre) in Google Maps.